An image of a K2 companion scheme to Wood Nymph. 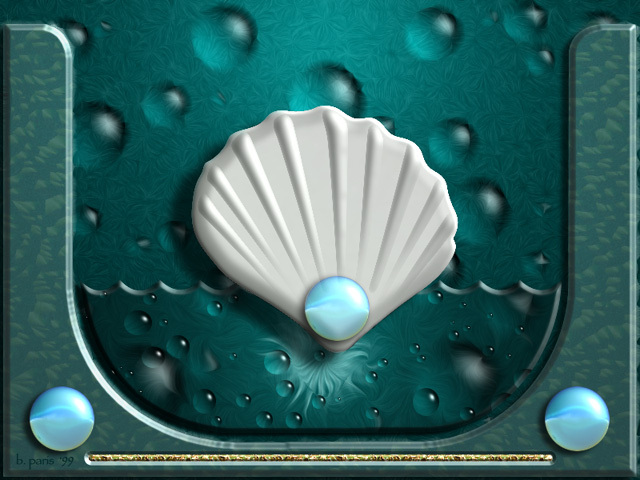 Mermaids, and seashells, and daydreams, oh, my! Is now completed. Has lots of goodies, incuding pearlized cursor, with additional shell cursor and many scheme patterns for the desktop in the folder, etc. etc. 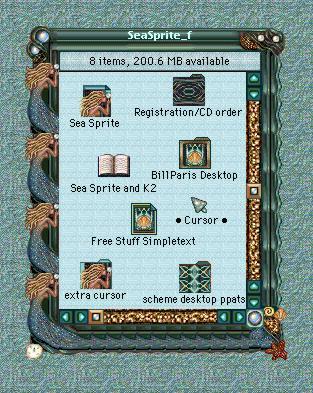 Bill Paris desktop, JansShell, included in Sea Sprite folder on CD. It is 640x480. A larger size can be obtained at Bill's website.